The Jeotech can detect both metal and cavity targets. Targets are identified by means of its LED system/ light emmiting diode system and audio tone system. Jeotech is designed to be used in highly mineralized soils and is not effected by interference and noise. 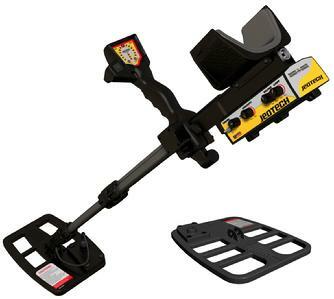 The Jeotech provides strong detection depth for deeply buried targets of up to 4 meters (12 feet). 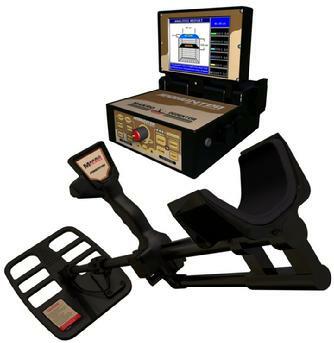 The Jeohunter 3D Dual System is designed for locating deep treasures. 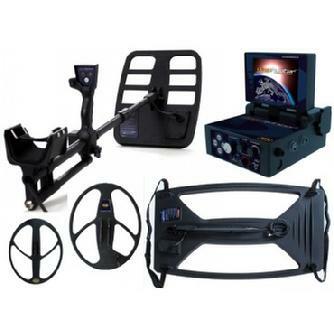 The Jeohunter 3D Dual System is like having 3 detectors in one. You will experience the excitement of searching in deep areas for gold and other precious metals. Once located, targets are classified into four groups: Gold, Non-Ferrous, Ferrous, and Cavity. These targets are shown in real time on the color display screen during your search. The system is extremely sensitive and will provide target depth analysis, target size, and target shape. The Jeohunter 3D System comes standard with LED System and 3 coil system for incredible depth capabilities up to 12 meters (36 Feet) deep. Software and features same as Jeoscan 2D System but this model has greater depth capabilities and has 3 coil system as standard equipment and LED System. The Deep Hunter has the ability to provide the signal graphic shape of the target (Oscilloscope) on the visual display! Mode 1: NON-MOTION DEEP TREASURE DETECTION MODE capable of both precious metal and void detection. This mode was designed with ease of use in mind. The intuitive interface is simple to understand and the Deep Hunter color display shows you a visual representation of the target signal with advanced 3D image analysis. In addition, you will see the metal type, depth in centimeters and size of the target before you dig it up! Mode 2: FAST RECOVERY MODE capable of detecting individual coins, gold and small targets at exceptional depth with audio target identification. This system is also very easy to use and identifies metal at great depth. The user is alerted to the type of metal with three different sounds. Now you can easily hear if the target is gold, precious or non-precious. You can easily perform your searches in all types of ground and prevent false signals by eliminating interferences from minerals in areas contain high concentrations of iron, such as beaches, wet sand, plowed soil, etc. Deep Hunter has 4 different light-weight and water-resistant search coils to choose from! CF77 lets you easily detect gold, single coins, jewelry, relics, and other tiny objects in areas that you could not hunt before. The detector does this by providing a stable and deep search in the most difficult ground conditions. Discover the targets that other treasure hunters have passed over with their detectors. 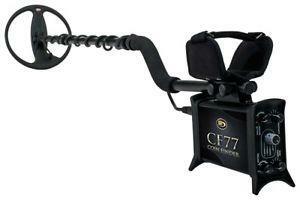 CF77 can eliminate the iron signals produced by the soil in heavily mineralized areas. A unique iron audio on/off feature lets you chose to detect only the non-ferrous metals by turning ferrous target sounds off completely. CF77 has 3 different light-weight and water-resistant search coils to choose from!